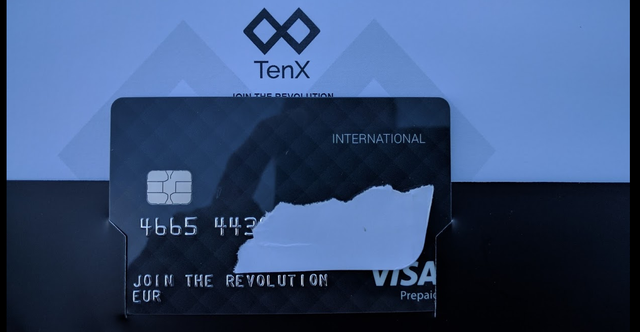 Yesterday I received my new VISA debit-card from TenX, a company in Singapore that issues credit-cards where you can pay directly with cryptocurrencies both online and in physical stores! The card itself is rather "bland". There is no name embossed. Instead, the text "Join the revolution" is shown. The accompanying letter informs that this card is only temporary, and that a proper card will be issued at a later time. 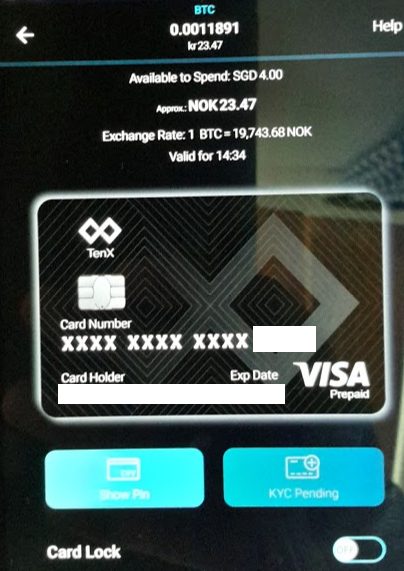 To initialize the card, you have to use the TenX app. This app is only available for Android at this time. The card came with a letter with a 16-digit initialization-code. This is entered into the app to activate the card. The card is then ready for use! You add Bitcoins by sending them directly to the address shown. 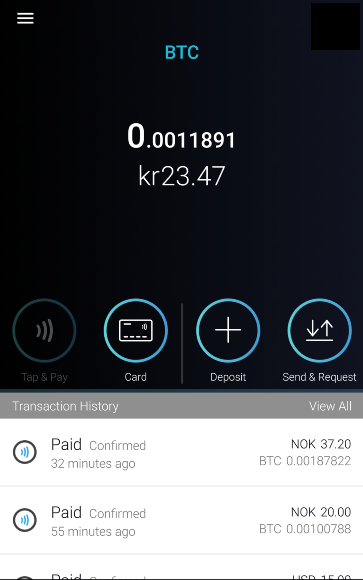 I transferred a small amount from my main Bitcoin-wallet to test the app and the payment-system. 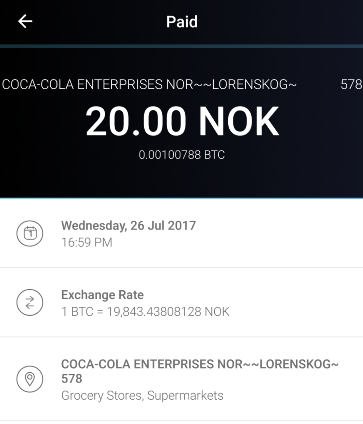 The app and card only supports BTC at the moment, but will support more cryptocurrencies like ETH, Dash etc. through the Commit-network. TenX has just had an ICO to launch the creation of this exchange-network for cryptocurrencies. 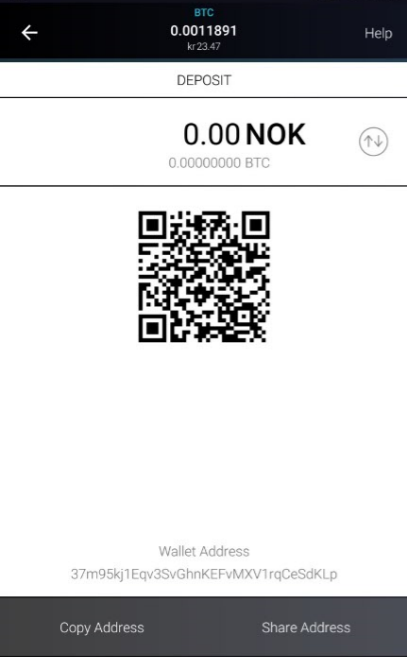 At the top of the screen is the amount of BTC available and the corresponding worth in your local currency. You can also see the current exchange-rate for BTC and when TenX will next update the rate. You have a button for displaying the cards PIN-code for 15 seconds, and also a button for raising your KYC-level. This regulates how much you can spend with the card per month. After this successful test, I went on to a grocery store to test the card with a PIN-code at a normal payment-terminal. This transaction was also just as using a normal VISA-card, except that the text in the card-reader showed up in English and not the local language. Like with the last purchase, I also got an instant notification from the app with details about the transaction. I must say that I'm very impressed with the functionality of this service! Everything is working smoothly, even at this early time. The card came nicely presented, the app looks good, everything is working as it's supposed to. You also feel like you are in full control of what is happening. The only downsides were the rather bland card and the fact that you can only pay with BTC for the time being. Both of these points will be fixed in the future, according to TenX. Disclosure: I'm not affiliated with TenX and do not own any TenX PAY-tokens. Just a regular customer. 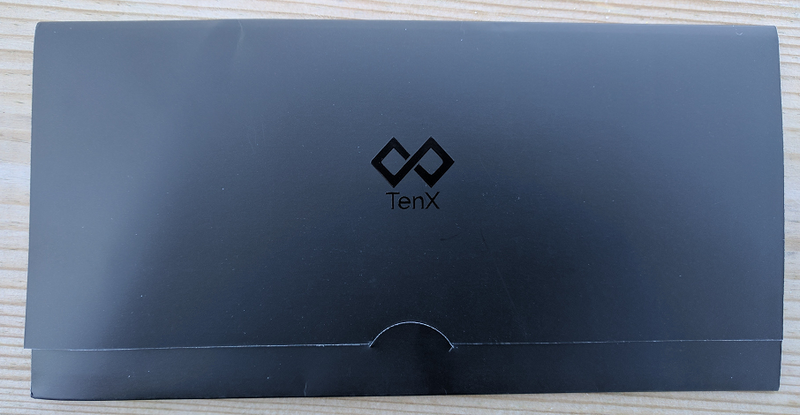 I've been looking at the TenX card, where can you order it? I can't find where to order it on the website. Download the app for Android and order from there. You will have to deposit $15 worth of bitcoins to order. Great Post! I will definitely check this out. This is what we need to make cryptos go mainstream!